As it was deemed appropriate for the minor coinage to have a uniform appearance, much like the silver and gold coinage of this era, the Mint produced a series of patterns for one-cent, three-cent, and five-cent denominations. 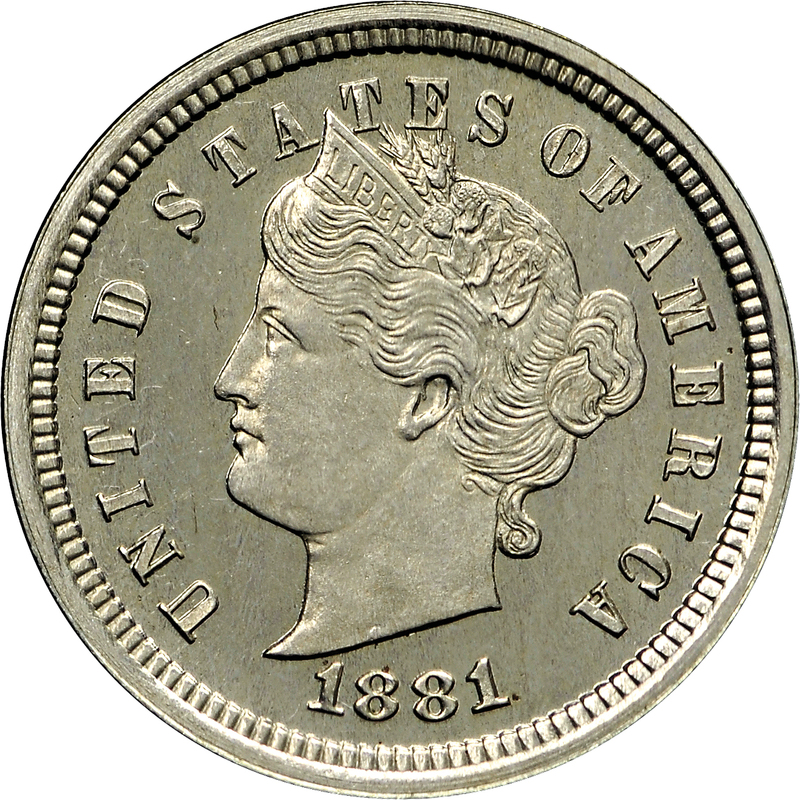 Each featured a head of Liberty on the obverse, wearing a coronet inscribed LIBERTY. 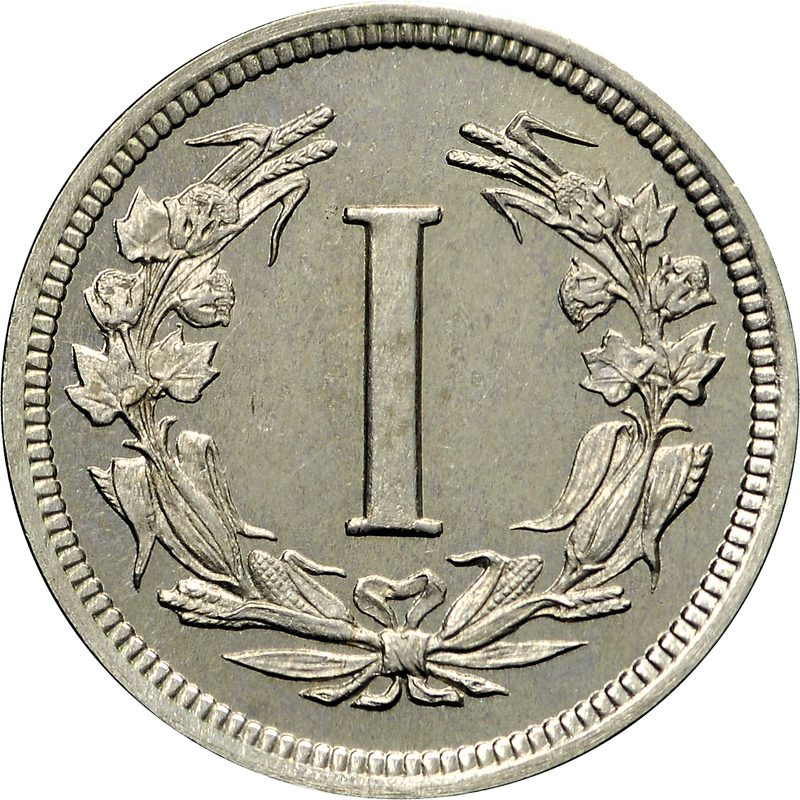 The common reverse design included a wreath enclosing the denomination, expressed in Roman numerals. 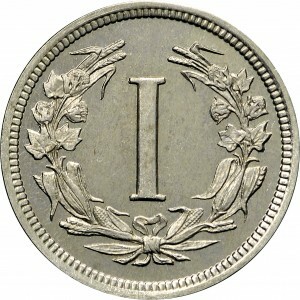 Note that the word CENTS is lacking on this design, as it was for all three denominations. From RARCOA's April 1975 sale, Lot 388. 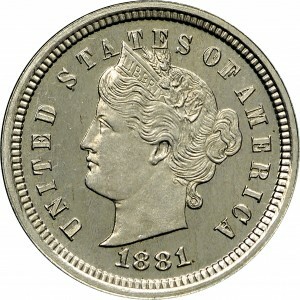 Head of Liberty left nearly identical to that used on regular issue five cent nickels 1883-1912, wearing coronet inscribed LIBERTY with legend UNITED STATES OF AMERICA around and date below bust. Roman numeral I inside a wreath of cotton and corn.